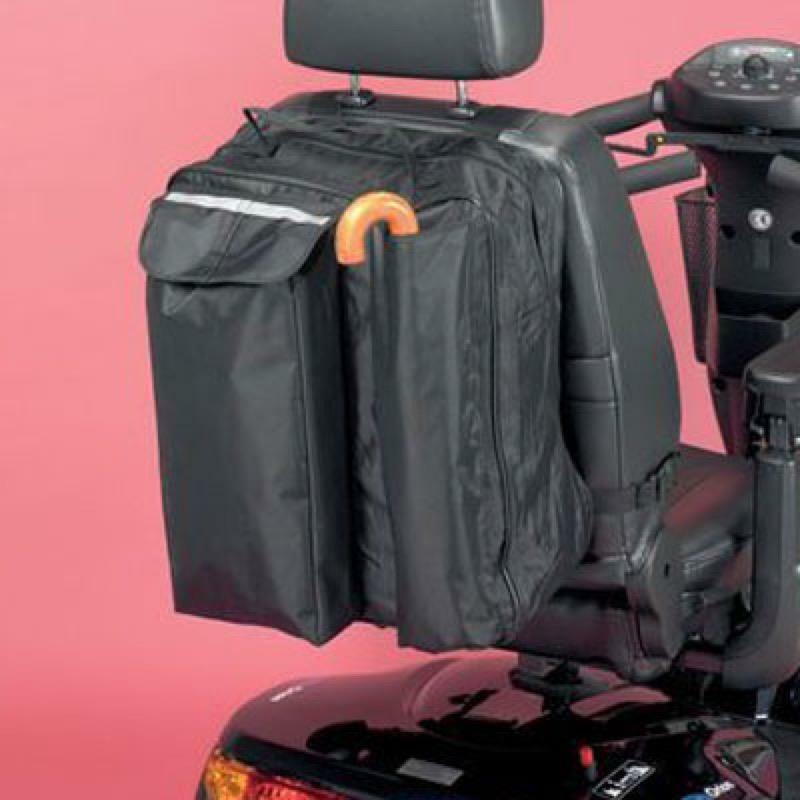 This large, waterproof Scooter Bag is made from hard-wearing polyester material. The side pouch holds two crutches or walking sticks. When possible, adjustable crutches or walking sticks should be reduced to minimum height for safe carriage.